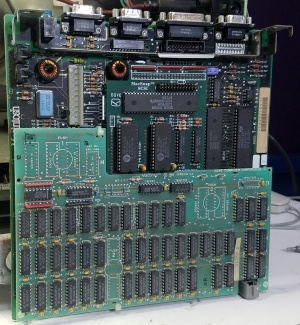 This add-on board attaches to the logic board on the Macintosh 512K. These may have been released with different RAM configurations, and the one seen pictured appears to provide a total of 2MB system memory when installed. Also created by Dove Computer Corporation is the MacSnap SCSI which can be installed at the same time as this board.